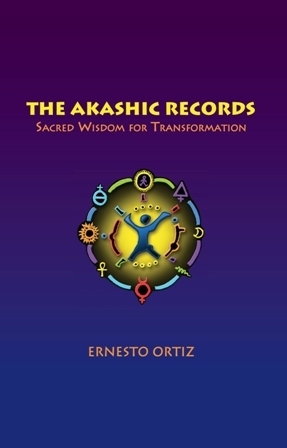 Introduction to the Akashic Records.Enlighten yourself to greatness and let go of the past and fears that hold you back. Welcome the end of the cosmic cycle with a new empowered YOU!! May 10th 2012 - In our times and with the levels of stress that we experience in our lives, we are constantly looking for answers to the situations that happen to us every day. Some of us go outside of ourselves to get those answers; we go to Psychics, Tarot card readers, looking for a word of confirmation that can validate some of what we are seeking in our lives. Whether that is an answer to a question about a relationship, dissatisfaction with our job or how to handle and best serve a family member etc. I wanted to understand what my soul journey is about and what keeps the record of my actions and the accumulation of my lives experiences. Yes, I could have gone to past life regressions but these again are the interpretation of the reader. Reading Edgar Cayce and finding out that he received most if not all of his information from the Akashic Records was fascinating to me. So the question was how do I tune into the frequency that bypasses the astral plane and get to the Realm where Masters and Teacher abide? I discovered that the Recording Angels have a fascinating job, which is to record the life events of individuals and then take that information to the Hall of Records, which is the place where all of our soul’s history is recorded. There the information is given to the Record Keepers and is filed in our own Book of Life. As I see it, the Hall of the Akashic Records is like the library of Congress of the Soul, and to have access to that Hall is the most incredible thing because we can retrieve information that lies deep in our own Soul’s History. The Akashic Records are the recordings of one’s Souls experiences since inception. It is past, present and the possibility of unfoldment in the future events. So the question is how to access the Akashic Records? There are numerous ways to access the Records, just as there are many ways to get from one city or country to the other. One can travel by bike, bus, train or to take an airplane. It's just how fast or how directly you want to get there. We use a “Sacred Prayer” that gives us access to this realm instantly. This Holy prayer was given by Spirit and gives us the attunement or the key to enter this realm. Once in the Records, Spirit directs the course and we are guided to retrieve the information that is most valuable for others or ourselves. The consultation comes from a detached point, but from great love and wisdom. We don’t get judged as this information is unfolded before us. The information may come to us in many forms; words, pictures, sensations and perceptions as our inner sensory receptors are awakened and fine-tuned. We open to the guidance of the Holy Spirit as we allow the illumination to come to us. Learning to open your own Akashic Records can be one of the most useful tools of the new Millennium - there is no need to go outside the self to Tarot cards and psychics when we have Masters and Teachers and the Lords of the Akashic Records ready to provide that information for us. Self-inquiry is one of the most potent tools available to us that is why Satsang (spiritual inquiry) is such an invaluable tool. We can use the Akashic Records as our own Satsang tool. Learn it and see the amazing reward of having Your Masters and Teachers and the essence of pure love present in your life by accessing this magnificent realm with a simple Sacred prayer. amazon.com or for a signed copy at journeytotheheart.com. The Akashic Records (all three levels, Trance Dance, Sacred Geometry, Shamanis, Shamanic Healing Techniques, Mastering the Art of Relationships and more. He takes groups year round to Sacred sites around the world. He has facilitated numerous workshops and seminars in the US, Canada, Australia, the Caribbean, France, Bali, Peru, Guatemala, Costa Rica and more. To schedule a class in your area email at Kiva101@aol.com or visit his website at journeytotheheart.com.